The California Golden Bears went West earlier this offseason. 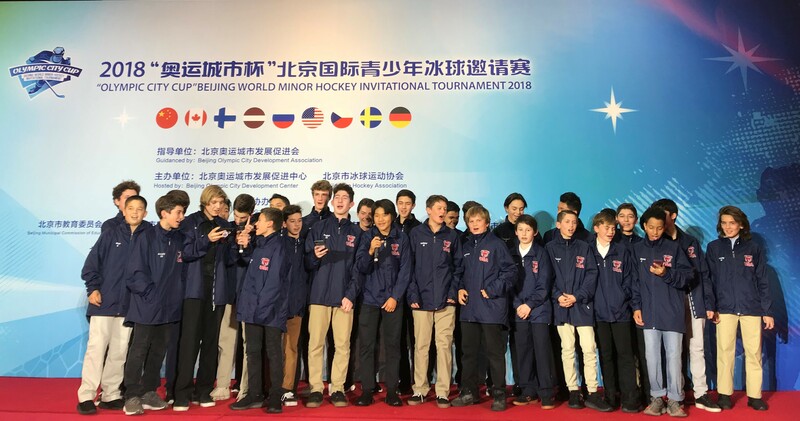 From April 28-May 5, the Golden Bears played in the Olympic City Cup Beijing World Minor Hockey Invitational Tournament 2018. The tournament had two divisions – 2003 and 2005 – and had teams from all around the world. The 2003 division had teams from Canada, China, Latvia, Russia, Czech Republic, Germany and the United States. The 2005 division had teams from China, Finland, Russia Czech Republic, Sweden, Germany and the USA. The Golden Bears represented the United States in each division. The tournament started off with an opening ceremony that was pretty spectacular. It began with two performances from Chinese figure skating clubs. After the second performance, the teams were escorted onto the ice behind each country’s flag and skated onto the ice. The 2022 Olympic Committee was then introduced, and the games began. All the teams stayed at the Landmark Hotel, about a 30-45 minute bus ride from the arena. The hotel provided a multicultural assortment of food for breakfast for the players, coaches and parents attending. The Beijing Ice Hockey Association (BIHA) provided a multicultural lunch and dinner for the players and coaches during the tournament. Transportation to and from the hotel and arena was also set up by the BIHA. The tournament was well-run, and the competition level was very high. “There were very good teams there and I got exposure to many different styles of play,” said C.J. Armaly, who played Pee Wee AA last season for the Bears. Overall, the level of competition in both divisions was very high, the players were exposed to international competition, and will be able to take this experience into this upcoming season. The closing ceremony was held in the ballroom at the hotel. The top three teams were awarded medals and each division had individual awards including Top Defenseman, Forward, Goalie and Coach. Peter Torsson, head coach of the Bears organization, was awarded Best Coach award in the ’03 division, and Max Abramson, who also played for the Bears’ Bantam AA team last season, was awarded Top Forward of the ‘03 division. After the awards were handed out, each country was asked to perform an act or to sing a song on stage. All teams chose to sing (pictured below), and it was a very unique and entertaining way to conclude an amazing tournament. As well as setting up transportation and food for the tournament, the BIHA included a few days for sightseeing, including a trip to a local high school, the Great Wall of China and the Forbidden City. At the high school, the kids interacted with local students playing basketball and ping-pong, and also got a tour around the beautiful campus. The Great Wall of China (pictured top) was about a 90-minute drive out of Beijing, where players and parents were able to hike, take pictures and really enjoy the amazing display of one of the world’s most known landmarks. The Forbidden City is the center of Beijing, where many emperors once lived. From the architecture, to the gardens, it was a surreal feeling being in a place that has been such a landmark to the Chinese culture for so many years. Overall, it was an amazing trip. 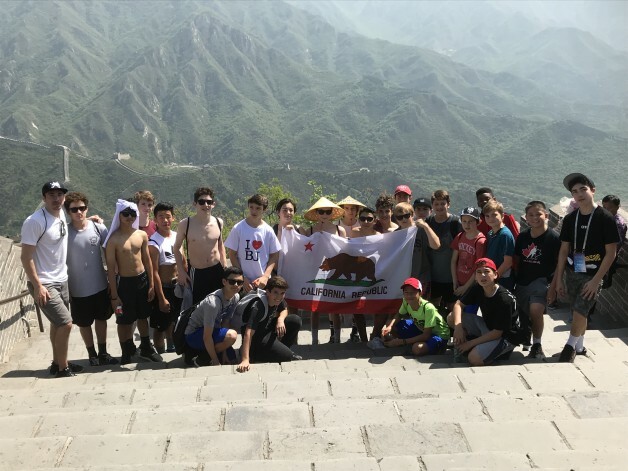 From the different styles of hockey, to learning the history and experiencing the culture in China, the BIHA did an amazing job hosting the tournament, and the California Golden Bears organization is looking forward to its next venture out West.